Creative, award-winning and much sought after, the Barber-Osgerby duo have several accomplishments to their credit including a new bottle design for Coca Cola. Their latest? Designing the Olympic torch for the 2012 London Olympic Games! Edward Barber and Jay Osgerby have been in the design field for a long time. Yet this summer, their design studio became a household name. 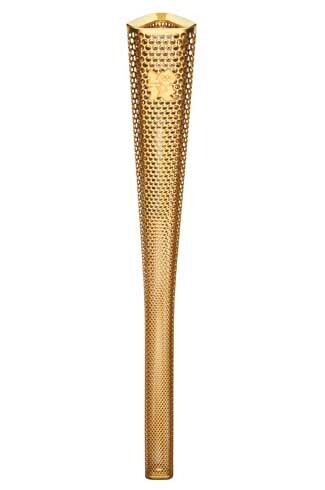 The Barber Osgerby duo designed the Olympic Torch for the 2012 London Summer Olympics. They were chosen from among 80 firms worldwide. The torch, made of a golden hued aluminium alloy is perforated; it has 8000 laser created holes which give the design a more transparent appearance, and also prevent heat from being conducted down the handle. The holes represent the number of people who will take part in the Olympic relay. 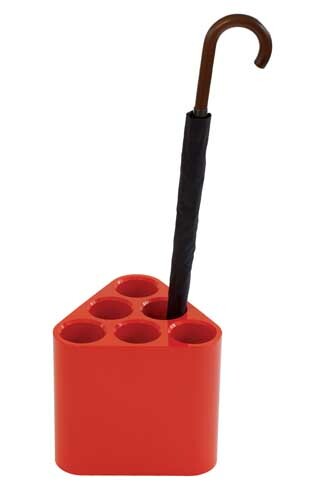 Made of an alloy that is used for airplanes and cars, the torch weighs just 800g. The light weight makes it easy to carry, especially for the youngsters chosen for the relay. The goal was to make the torch “something really beautiful yet simple.” The elegant design of this dazzling new torch certainly meets both those requirements. 8000 of these torches were made, as each runner (between Greece and London) gets to keep the torch. Edward Barber and Jay Osgerby graduated from the London’s Royal College of Art with Master’s degrees in Architecture in the year 1996. 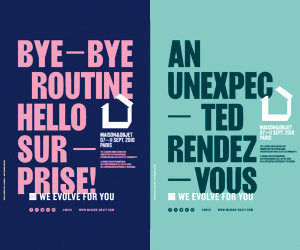 They founded their studio soon after and began their illustrious designing career together. 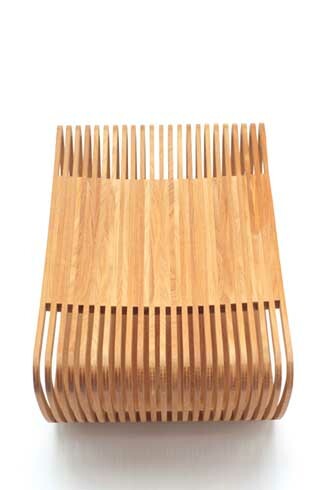 One of their first pieces was the Loop Table, a simple low table made from birch plywood that became very popular. 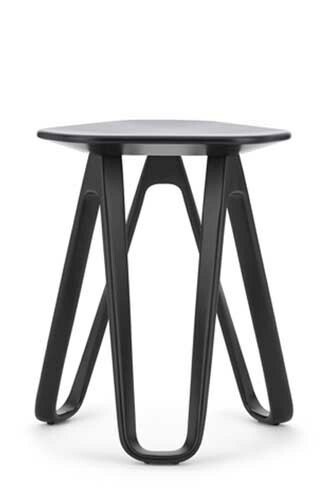 At the Milan Furniture Fair (1997), the table was spotted by Giulio Cappellini, owner of the Italian furniture firm of the same name, which led to a series of commissions with Cappellini over the years. Soon after came the Pilot Table (1999), the Hula Stool (2000) and the Stencil Screen (2000). Much of their early design was influenced by the folding and shaping of material, including plywood and Perspex. In 2004, Barber Osgerby won the Jerwood Applied Arts Prize which led to an assignment to design new pieces for the De La Warr Pavilion, including a die cast metal chair. 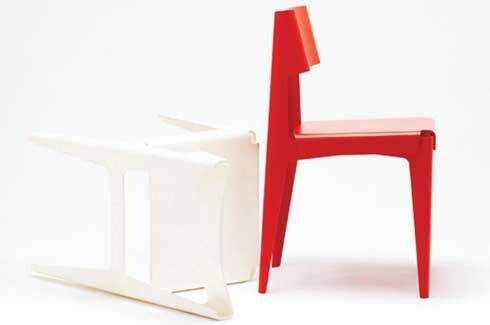 This chair is now a part of the collection at the Victoria & Albert Museum, London. 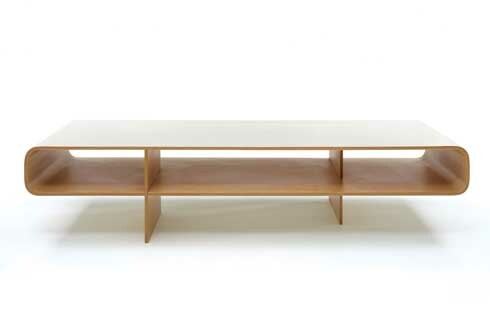 The following years saw several other commissions for leading furniture manufacturers worldwide. 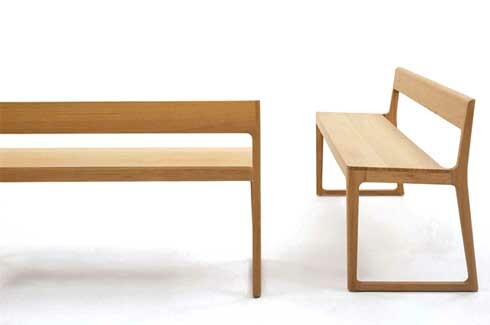 They designed the Portsmouth bench for a Cathedral in Portsmouth (2003) and the iconic folded plywood ‘Shell chair’ (2003). 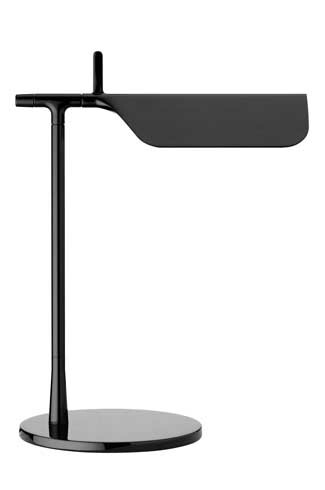 The duo over time has created collections for Cappellini, Magis, Vitra, Swarovski, Established & Sons, and Flos. Some of their more intriguing work has been for private clients, like the ‘Filo’, an oak frame layered with quilts (2009). 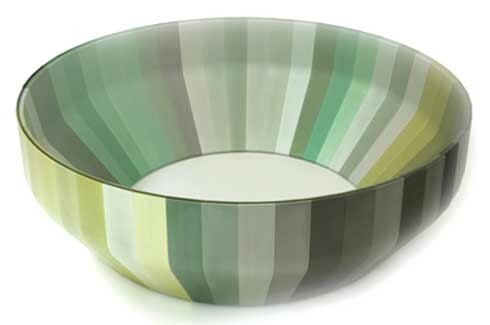 In 2008, Barber Osgerby came up with the limited edition Iris tables (2008), awash in colour. These tables look like inverted bowls (or an eye) and take their inspiration from the iris of the eye. The circular Iris tables are a combination of shades of the same colour and come in five versions of colours, ranging from blues to reds. 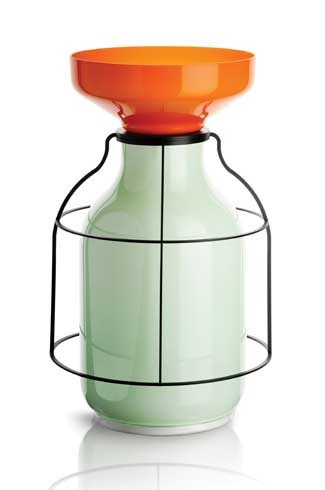 In 2009, Barber Osgerby launched a range of large glass vases for Murano glass makers Venini. Called ‘Lanterne Marine’, these colourful masterpieces are made up of “coloured interlocking components” and the aluminium frames surrounding the vases are reminiscent of vintage nautical lanterns. Other products have included hangers for Levi’s (1999), a tile pattern for Stella McCartney (2002), a rug design, a hanging rail for Magis (2007), sculptural stools and bookshelves. They even designed the façade for H&M stores worldwide. This is a geometric design of pleated aluminium that can be repeated in various combinations, horizontally or vertically. 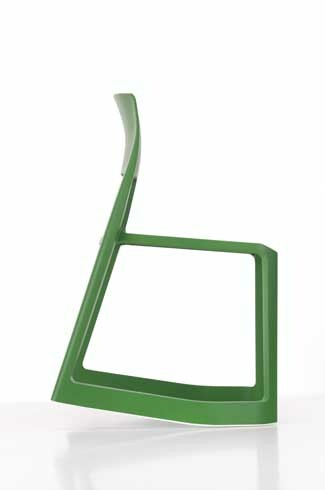 A recent innovation (billed by some as the world’s “most eagerly awaited chair”) has been the ‘Tip Ton’ chair which can be tilted forward, where it stays in place without the danger of toppling over. 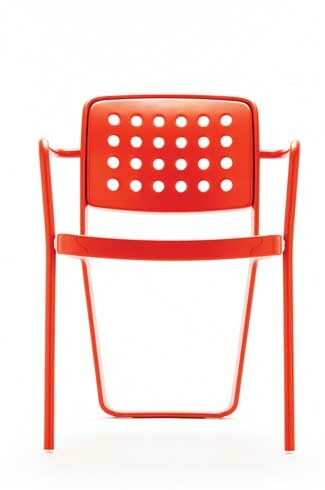 According to the manufacturer Vitra, “This forward-tilting motion straightens the spine and pelvis and improves the circulation of blood to the abdominal and back muscles.” The Tip Ton chair is available in eight bright colours and is ideal for both home and office. 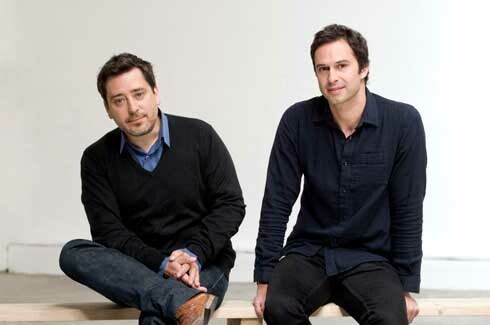 In 2001, Barber and Osgerby founded Universal Design Studio where they work with architectural, interiors and exhibition design. The Barber Osgerby studio, on the other hand, focuses on product design. Their first book “The Design Work of Edward Barber and Jay Osgerby” was recently published and documents their work over the years. The designs of Barber-Osgerby can be found in the permanent collections of some of the best museums including the Victoria and Albert Museum in London, the Metropolitian Museum of Art in New York and the Art Institute of Chicago. The success of their Olympic Torch design will only make their flame burn brighter.